This week, my EXCLUSIVE interview with legendary game show producer Pam Barnes (currently executive producer on Australia’s Family Feud) concludes, with a few more reminiscences, a few more tips, and a few more personal observations. In last week’s post, we’d been discussing some of the meaner, crueller reality shows, and how they can be damaging to their contestants’ self-esteem…..
PB: That’s why I love Family Feud – it’s fun. You are not judging anybody, you are not telling them that they are stupid. SH: Everyone does play! It’s competitive but it’s fun; no-one gets hurt. PB: Just about everyone who walks away from Family Feud says “thank you so much for choosing us, we had such a good time!” That’s what you want to hear. And if they win money, good on them, they’re really happy. SH: Pam, you produced the legendary Australian Variety show Hey Hey It’s Saturday for a number of years. PB: I did! 10 years. SH: That must have been a hell of a rollercoaster ride! PB: That was probably the most fun I’ve ever had. To think, when I started, that I’d be doing it 10 years later was ridiculous. SH: And a different thing every week. PB: Different thing every week. I made wonderful friends. I just had so much fun making it. It took us around Australia, it took us overseas – twice – to the States; once to do two shows out of Hollywood and the second time taking the show to Walt Disney World in Orlando for two shows. That was so much fun. I felt guilty – I had to come home and take my children on a holiday because I had too much of a good time! (LAUGHS) It was hard work, but it was good fun. SH: Seat-of-your-pants a lot of the time, I’d imagine, and solving problems on the spot. How is producing game shows specifically different from producing a live variety show like that? PB: I think the difference is in live variety you have to keep changing it, and you have to have new things all the time. The thing with a format like a quiz show is you have a strict format and it’s been proven and it works because a lot of work has gone into it to get the balance right. In Round One there’s this, in Round Two there’s this. The networks have strict time allowances so we have to fit everything into a certain time. A live show can be a bit more flexible because you change it up all the time. With Hey Hey being live, I would have to build in things at the end of the show that I could throw out, if we were running over time. If something was going really well in the beginning, I would let it go but I’d drop something at the other end. I would have to juggle commercial breaks around, because we still had to get those in! With the likes of Family Feud, the questions change, the people change, but the template’s the same. 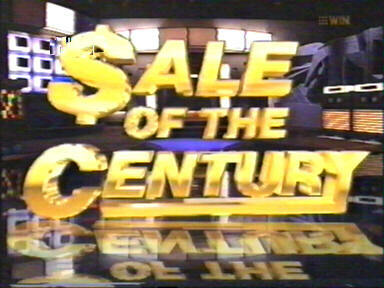 And the same with Sale Of The Century – the questions and the contestants change, and the prizes in those days. You get into a rhythm. But it’s a lot of work, and it is quite relentless, and you’ve got to do auditions all around the country and it takes a long time. SH: What we see on the screen is just the tip of the iceberg. SH: What are your favourite game shows? PB: I’d probably have to say Family Feud. SH: Right answer, well done, correct! PB: Although I used to love Sale Of The Century – I think that had a really good, solid format. I think it would probably work today, although I think you’d tweak it somehow, because I think now the idea of prizes is different. In those days, you’d get the lounge room full of furniture and the holiday, and the this-that-and-the-other, but I think these days pretty well all game shows are just money. SH: Mm, and game shows aren’t so much an avenue for sponsorship. Because obviously the prizes were donated, so that the companies could get their names out there. SH: But today sponsorship has gone in a different direction. PB: Yes, because there’s so much more branded television, but not so much in a game show area. SH: And finally, what would you say are the most important things for someone to know, if they want to be a (winning) contestant on a game show? PB: I think being the best you’ve ever been, in terms of selling yourself to us at your first audition. And then enjoying the journey that it takes you on… because half of the success of any of these shows is that people actually like the person they’re watching. If you come across as a nice person, I think you’re going to have a better time, and people at home will like you, so it’ll be overall a good experience. 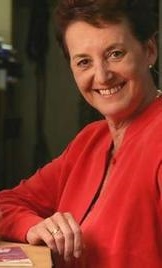 I can’t thank Pam enough for taking time out of her extremely busy schedule to talk to me for www.howtowingameshows.com. Her great wealth of experience, generosity and good humour made our interview a real delight. And remember, if you’re in Australia, and you’d like to be part of all the fun of Family Feud – and it certainly looks like they do have a lot of fun! – you can find out more right here. Next on howtowingameshows, as promised, my interview with 26-year-old Million Dollar Minute champion Alex Dusek. He’s a very brilliant and thoughtful young man, and there’s HEAPS of valuable lessons to be learned from his journey, which he takes us through in great detail. And that all starts next week, here at www.howtowingameshows.com !